Mirror in Duck Egg Blue! My Mom and Aunt found a cute little mirror at a garage sale. I have a thing for mirrors… they are all over my house. My Mom suggested this one would look cute in our mud room as a great place to check yourself before you leave the house. I agreed and went to work making it fit a little more into my style. 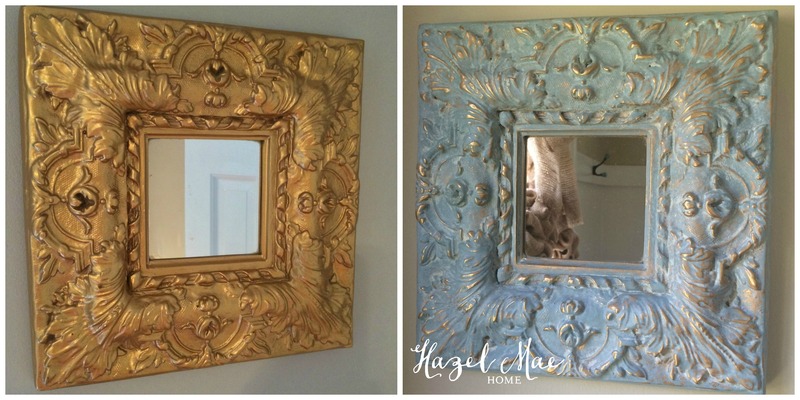 I painted with Annie Sloan Duck Egg Blue, distressed to see some of the gold come through and waxed with a combination of Annie Sloan Clear Soft Wax and Old White paint. It’s the perfect addition to my mud room that I redesigned last year! Check out the link if you missed it! Thanks for following along as I update antique treasures with paint!